Cataracts are common among older adults. These are areas of clouding on the lens of the eye. If you experience blurry vision, worsening night vision, and halos around light sources, your ophthalmologist will evaluate you for cataracts. It can be alarming to be diagnosed with condition that affects something as precious as your vision, but there is an effective treatment option available: cataract surgery . Discuss what you can expect from the procedure with your cataract surgeon serving Chicago. It may not be necessary to have the procedure right away. Many patients find that their symptoms are barely noticeable. When cataracts grow larger and begin interfering with daily life, your cataract surgeon will help you prepare for the procedure. First, you’ll have a thorough eye exam to measure your eye’s size and shape. You’ll likely be asked not to consume food or liquids for 12 hours before your appointment. It will be necessary to have someone else drive you home from the optical center. You’ll be awake during the procedure, but you won’t be able to feel anything because the cataract surgeon will numb the eye. Some people find it helpful to use a prescribed sedative to help them relax. 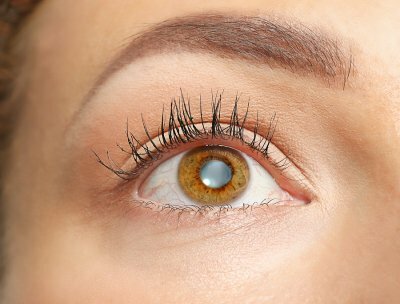 During this procedure, the ophthalmologist removes the affected lens and implants an artificial replacement, which is known as an intraocular lens (IOL). Your surgeon may perform laser-assisted cataract surgery, which relies on a precise laser to make the incision. The lens is broken up and removed through the incision. Then, the new lens is placed. Stitches usually aren’t required because the incision is tiny. The new lens restores both near and distance vision. It’s normal to experience some discomfort, which should go away within a few days. Expect complete healing in four to eight weeks.